him: "Wanna watch a movie?" her: "It's kinda late to start one..."
him: "Episode of John Oliver?" her: "We're all caught up." him: "I have an idea. 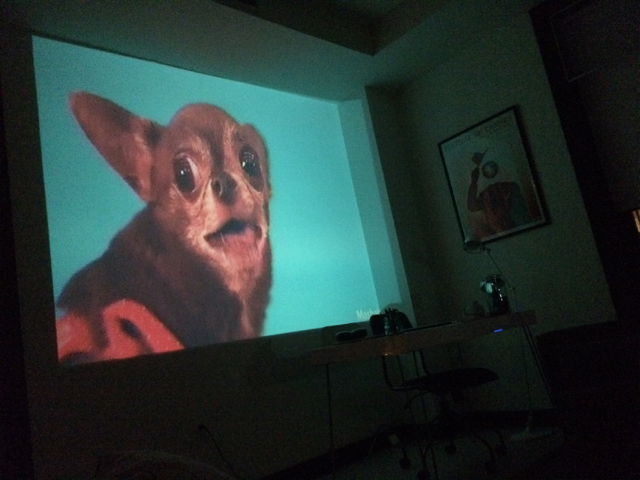 Let's look at Cute Overload on the projector."